A bar representing battery and a signal symbol on the same bar representing signal. Customized font, battery & signal meters. 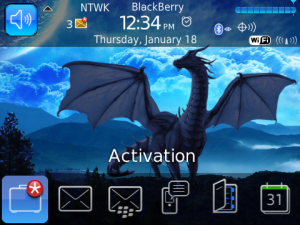 High quality theme for your BlackBerry. We have Dragon in Dark V1.1 with all the issues rectified.